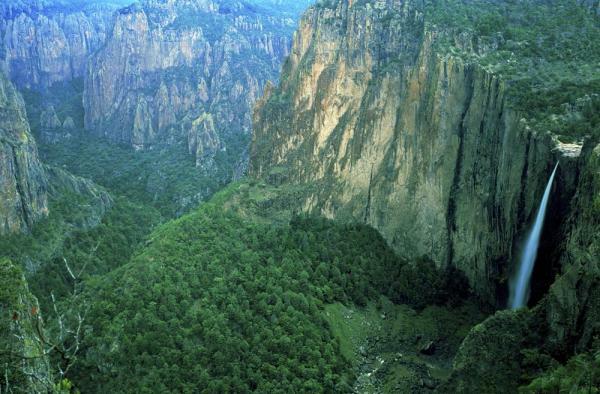 This Mexico tour explores the Copper Canyon, the largest canyon in North America. 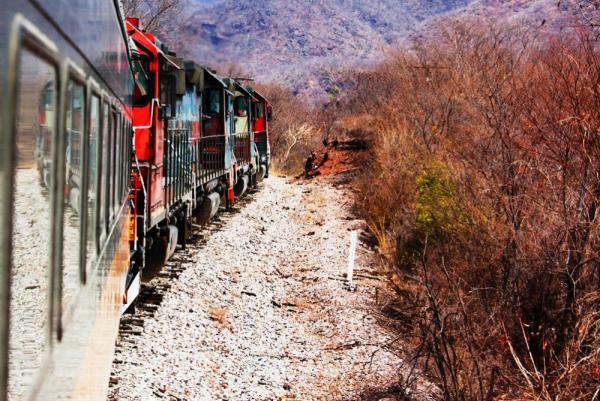 Board the El Chepe train on the Chihuahua-Pacific Railway for a scenic train trip through the Copper Canyon as you travel from El Fuerte to the canyon's rim at Posada Barranca. Visit Tarahumara villages with your local guide to learn about the traditional culture and life in this beautiful and isolated region. Arrive to Los Mochis airport where you will be greeted and transferred to the gateway of Copper Canyon, El Fuerte. In the afternoon meet the guide for an orientation of El Fuerte and take a walking tour and streetcar ride of this cobble-stoned, colonial city. Take a half-day, guided excursion after breakfast. 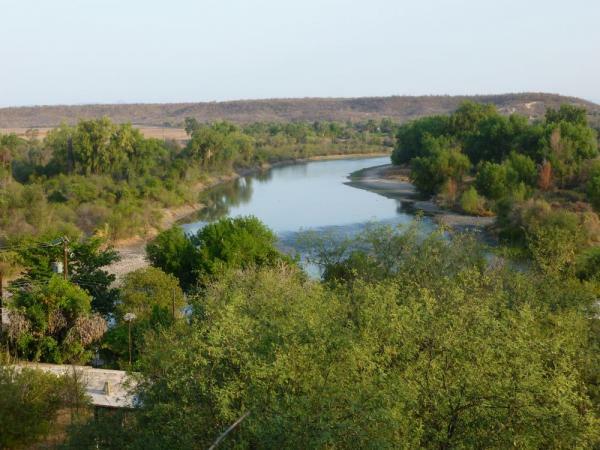 After a short walk to view pre-Columbian petroglyphs along the banks of the El Fuerte River, take a boat trip on the river with opportunities for birdwatching and wildlife viewing. 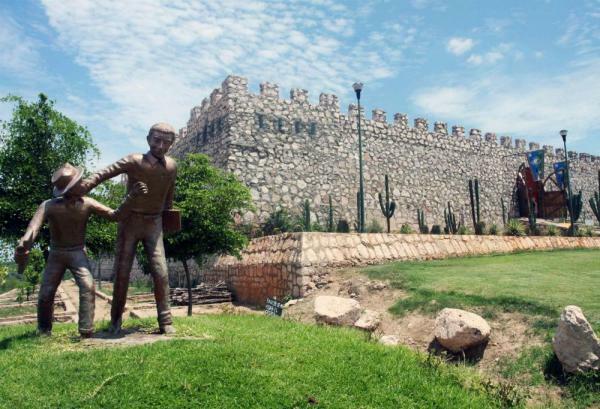 Return to El Fuerte for a historic tour of the city with a short visit to the town's eclectic museum with its collection of pre-Columbian, colonial, and modern artifacts, including items once belonging to outlaw Pancho Villa. Your afternoon is free for lunch and to independently explore El Fuerte. 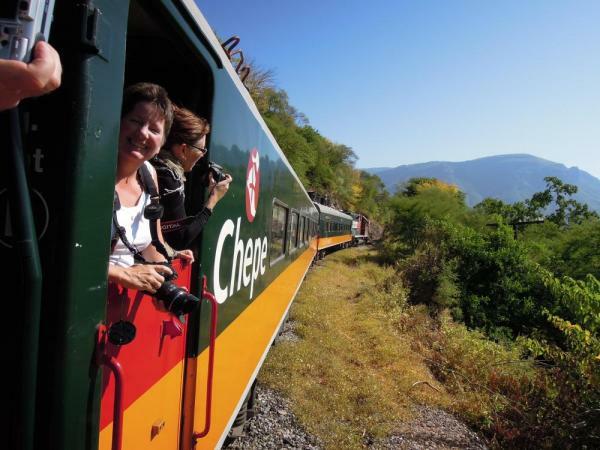 All aboard the world famous, first-class El Chepe train of the Chihuahua-Pacific Railway for the six hour journey into the Sierra Madre Mountains. Considered one of the world’s most scenic rail journeys and an engineering marvel, the train crosses 36 bridges and passes 87 tunnels along its 655 km route from Mexico’s interior to the Pacific coast. Arrive to Posada Barrancas after lunch (on your own in the restaurant car) and be greeted at the station and transferred to the hotel. 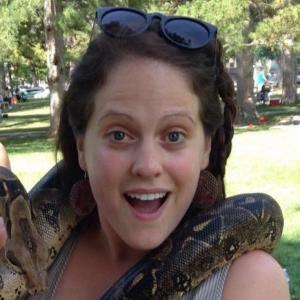 Meet the guide, your host for the next three days, who will give you an orientation and discuss the options for the next day's activities. The evening is free to take a short walk to explore the grounds, or relax on your private balcony that overlooks the canyon before dinner. Today's activities are completely customized based on your preferences and interests, and the guide and a vehicle are at your disposal. 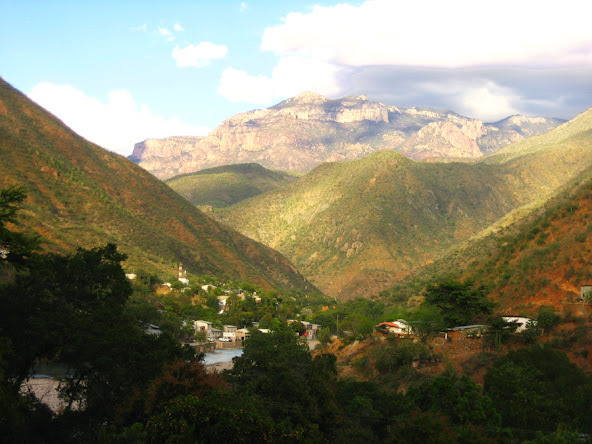 Visit a Tarahumara village or the Copper Canyon's most spectacular view points at Oteviachi, Barranca de Laja, or Urique. 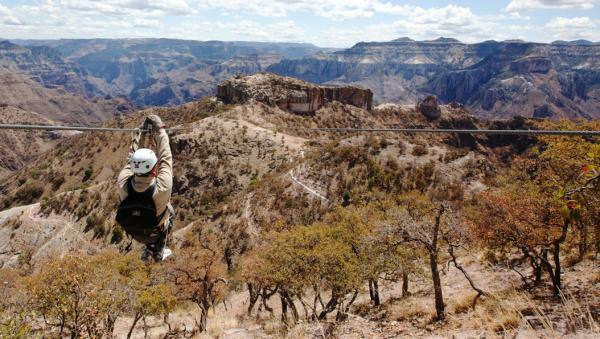 Light walking excursions or more extensive day hikes can also be arranged, and ziplining and via ferrata (rock climbing/ropes course combination) are options with an additional cost for any thrill-seekers. Lunch and dinner provided at the hotel, and the spectacular views are complimentary! Spend the morning free to explore on your own. 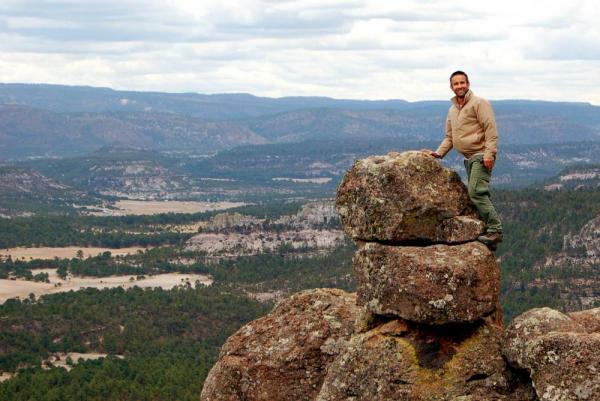 In the afternoon travel to Creel with stops along the way at Piedra Volada, the tallest waterfall in Mexico. Next, visit the Valley of the Mushrooms, known for its namesake-shaped rocks, and Lake Arareko with unusual rock formations and surrounding pine forest. Creel's history as a railroad and logging town and its picturesque location among the pine forest makes it an interesting stopover. Spend some time visiting the main plaza or the arts and crafts cooperative that contributes directly to the Tarahumara community. Settle in for the evening at the cozy lodge. Continue north from Creel towards Chihuahua and stop en-route for lunch and to visit a "Menonita" community near Cuauhtemoc. After arriving to Chihuahua and settling into your hotel, you are free to explore the parks, plazas, impressive cathedral, and museums of this important historic, regional capital. Transfer to the airport for your flight to return home or to your next destination in Mexico. Located in one of the most beautifully preserved haciendas in northern Mexico, Hotel El Fuerte welcomes guests to their property. The hacienda is full of historic ambiance of the colonial era, with newly remodeled amenities to suit today's travelers. Believed to the original home to El Zorro - AKA Don Diego de la Vega, Hotel Posada del Hidalgo is proud to offer historic accommodations to guests of El Fuerte. 12 beautiful rooms with modern amenities surround a spacious garden, typical of tropical colonial houses. Poised like an eagle's nest at the canyon's edge is the Hotel Mirador, located near the highest point of the canyon. With 48 deluxe rooms and suites, each with a private terrace to enjoy the view, this hotel appears to be etched out of the natural rock itself - perfectly harmonizing with its surroundings.